Think while Rename a Column Name of Table in SQL. which gives the column the name [CustomerName], not CustomerName. You don’t use the  escape in the second argument but by mistakenly if we use ‘[CustomerName]’ as new column name instead of CustomerName. "Either the parameter @objname is ambiguous or the claimed @objtype (COLUMN) is wrong"
ALTER TABLE DROP COLUMN failed because column '[CustomerName]' does not exist in table 'Customer'. Does that mean we have to recreate the customer table since the renamed column [CustomerName] cannot use in select statement too. Well there is a method for changing the mistakenly rename column ‘[CustomerName]’ to CustomerName . Just simple you need to go to the table DimCustomer and then click plus sign of the table and then you can see the list of columns of DimCustomer table then right click and add New Column tab which will edit all the list of columns and there you go just change the ‘[CustomerName]’ to CustomerName . This will solve the issue we are having. If someone by mistakenly rename the column as above and getting similar issue this post will be surely helpful. Also, there might be any alternative T-SQL method then please suggest some idea that will surely helpful. After a long time gap, I would love to post this blog regarding the power of SIMBA into the world of BI on top of BIG DATA . It’s really interesting and exciting to see these kinds of new technology and tools on the way. Well ,I am talking about the SIMBA MDx Provider developed by the simba Technologies . Yesterday, while I was researching regarding BIG DATA and reading some great blog post then I came to know about the SIMBA MDx Provider which seems to be a great and cool tool . Simba’s MDX Provider is an ODBO provider installed on the same machine as Excel. Simba also has a tool for building cube definitions, which we call schemas. These schemas are saved in XML. Simba’s schema maps MDX metadata constructs to Impala table structures. When an ODBO compliant tool such as Excel issues an MDX query, Simba’s MDX Provider maps the MDX query to HiveQL, sends the HiveQL to Impala, collects the results and returns them to the end user. The most important technical concept is that there is no intermediate server or cube structure that caches data, all queries go direct from Simba’s MDX Provider to the Cloudera Impala server in real time. As the technology is in early development, it is not generally available for early testing. Also there is a great PDF regarding the Simba Teradata case- study. 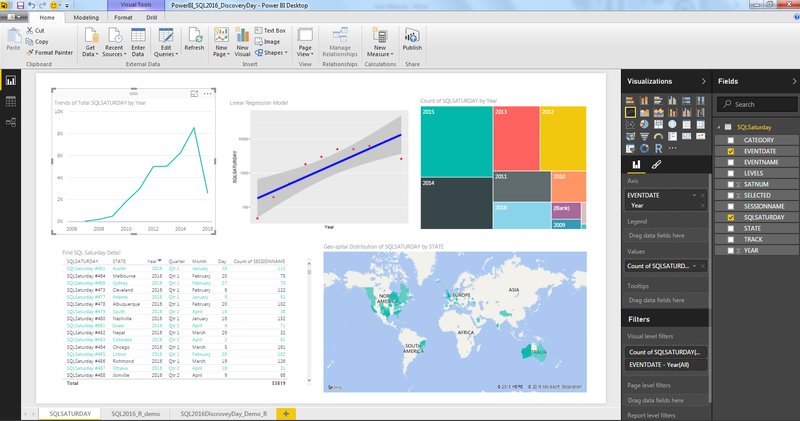 Hope to see and use these kind of great tools in near future into our world of BI. SQL PASS Summit 2012 Hot News !!! Some Hot news of the SQL PASS SUMMIT 2012. PASS Summit is the world’s largest, most-focused, and most-intensive conference for Microsoft SQL Server and BI professionals. Organized by and for SQL Server and BI users, PASS Summit delivers the most technical sessions, the largest number of attendees, the best networking, and the highest-rated sessions and speakers of any SQL Server event in the world. The 3 most awaited days from Nov 7-9 are here for all the SQL and BI lovers around the world. Currently, I couldn’t attend this session but I wish to attend this session in upcoming days or in near future summit’s a long run way to go .No worries, PASS Live TV is here for us who couldn’t make it to this SUMMIT in Seattle. The live covering of the SUMMIT can be browsed through the link below. Also, it’s nice to hear the upcoming project news from the Summit Keynotes .Apart from that ,I have read few blogs regarding the Summit Keynotes from the great persons and want to share with you guys too .So that one can know what’s in upcoming future technologies and updates in SQL and BI field mainly. These are some most highlighted upcoming updates in our field. You can have a look on these from the great writer blogs ( By Chris ,Marco and Denny ). Project Hekaton: Project Hekaton,codename for in-memory OLTP technology with improvement in performance and scalability. Polybase : Polybase allows you to query data from an external source from within the SQL Server 2012 PDW. This will allow you to create an external table which simply links to a Hadoop cluster.By using Polybase a single T-SQL query will run queries across relational data and Hadoop data. A single query language for both. Sounds really interesting for using BigData in a more integrated way with existing relational databases. By Chris “Wouldn’t it be cool if you could query the Facebook graph or Twitter or even Bing directly from TSQL?”Really looking forward to see these kinds of upcoming project by Microsoft SQL Server Team. Updates on Columnstore: In the next major release of SQL Server the columnstore indexes will be updatable and it will be possible to create a clustered index with Columnstore index. This is really a great news for near real-time reporting needs. You can have a look in the links below for more details . Just want to share the updates with you guys.we will be looking forward to play around with these great products and features from Microsoft. Does Linked Measure Group allows to delete the not used Measures for that cube? After long time gap, I just want to share something regarding the Linked Measure Group and which might be sure helpful to all of us mainly in the field of SSAS . While creating and processing cube with Linked Measure Group I got certain error so posted on the MSDN and got the response .so, I think it will be good to share this . I have developed the Linked Measure Group in order to share data across cubes within duplicating data for sharing same Measure Group within multiple cubes . Let’s say we have a cube A and Cube B and we create a linked Measure group within cube B by using a Measure group of Cube A and within linked Measure Group in Cube B , we delete some measures that is not needed for cube B and Processed cube B. Then I got certain error while processing a cube B. But It’s strange that it won’t give any issue while deleting the dimension that linked within Linked Measure group in Cube B. So, does Linked Measure group allows to delete the not used Measure for that cube. If we process the cube without deleting any Measure from Linked Measures then successfully both the Cube A and Cube B processed. ‘Errors in the OLAP storage engine: The metadata for the statically linked measure group, with the name of ‘Fact Table’, cannot be verified against the source object’. Hope to know from the one who knows better in this field. Your small help will be really appreciated. It is not recommend to delete the irrelevant measures when create a linked measure group. We can set the “Visible” property to “False” to hide this measure. so, in simple we cannot delete the Measures from the Linked Measure Group. If you add a linked measure group to a cube, the BIDS interface will let you delete some of the measures in the group (since you may not want to show all the available measures in your new cube) – however, doing this causes the above error when processing the cube! The error is basically saying that the linked measure group metadata no longer matches that of the source measure group. 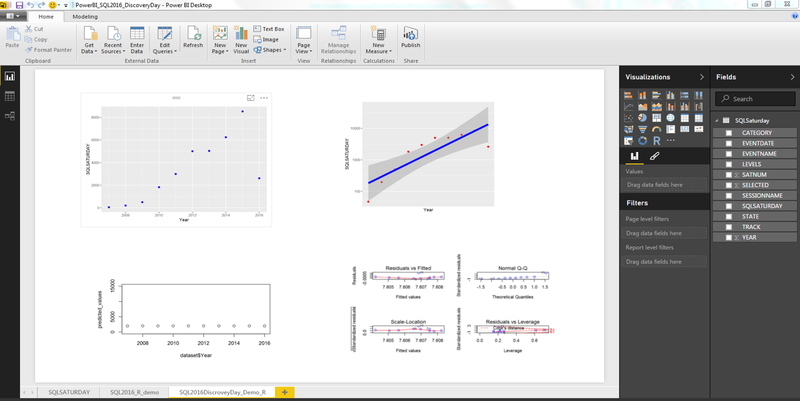 SSAS Compare, a cool tool for Microsoft Business Intelligence professionals. It’s been long time gap and I was really missing my blogging time part. SSAS Compare . 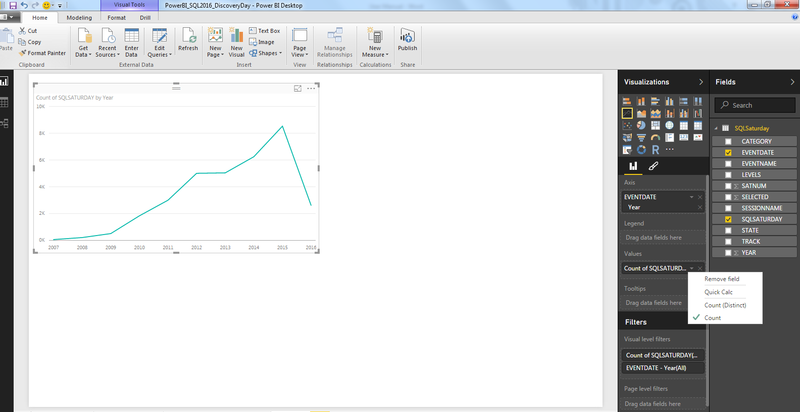 which I think , SSAS Compare is one of the cool tool . With SSAS Compare, you can select SSAS databases to compare differences between cubes, dimensions, measures and other objects. SSAS Compare can create an XMLA deployment script to deploy changes to the target database. This tool can be helpful when we have several versions of the same catalog/database within Production side and development side and needs to compare and find out how they differ. sometime we get confuse that which one is the latest catalog and what’s the latest different within the catalog between Production side and development side. So, this tool can be must helpful which allows to compare the catalog and choose the required cube structure need to deploy by simply generating the XMLA script. After a long time gap, I just want to share a link to download a free copy of Microsoft Press eBook ‘Introducing Microsoft® SQL Server 2012’. This could be a great eBook for you to learn and know about what’s inside the ‘ SQL Server 2012 ’ released by Microsoft. I have already downloaded and have started to read and learn the things .Hope you will too. This link could be helpful for all of us in the field of BI-SQL server to know more about SQL Server 2012 , virtual lunch event-sessions and more. How can we find the distinct count of all the Hierarchy and attribute members from all the dimensions.? Firstly ,Happy New Year 2012 🙂 to all .!!! In order to start this year blogging, I would like to post another blog which might be helpful to the one who works in SSAS. Last time, I was just trying for some trick or some queries in order to quick find the distinct count of all the Hierarchy and attribute members from all the dimensions . Select count(Distinct(PaidYear,PaidMonth,PaidDay)) from PaidDate and similar for others but all I want is some Quick methods or some DMV queries to find out my solution. --Dimension -replace with the Dimension you want to find Distinct count and Database -replace with your DB catalog. In the returned tabular result, the ATTRIBUTE_COUNT column is to describe the count that I was looking for. Is there any alternative solution for this kind of issue .Hope someone have some idea regarding on this. Hope this post will be useful for all of us in the field of BI mainly SSAS.